We are Beer Day Britain of 122 Marine Parade, Brighton BN2 1DD. If you have any questions about this privacy notice please contact us by email at: jane@BeerDayBritain.co.uk . By providing us with your data, you warrant to us that you are over 18 years of age. It is very important that the information we hold about you is accurate and up to date. Please let us know if at any time your personal information changes by emailing us at jane@BeerDayBritain.co.uk . You have the right to access the personal information that we hold about you in many circumstances. If we agree that we are obliged to provide personal information to you we will provide it to you or them free of charge. 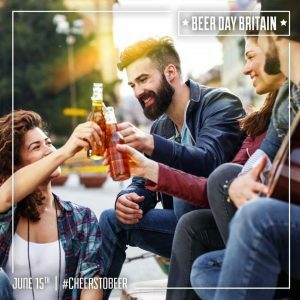 Email your request to our data protection officer jane@BeerDayBritain.co.uk . This privacy notice was last updated on March 17th 2019.